I watched a tele­vi­sion inter­view which men­tioned Churchill’s com­par­ing Hitler’s Mein Kampf to the Koran. I have searched and searched. Was the reporter telling the truth? (Who knows these days.) Thank-you for your time. —C.C. BECK: You didn’t say that, though. WILDERS: I didn’t say that, no. BECK: No. Win­ston Churchill said that. WILDERS: Yes. 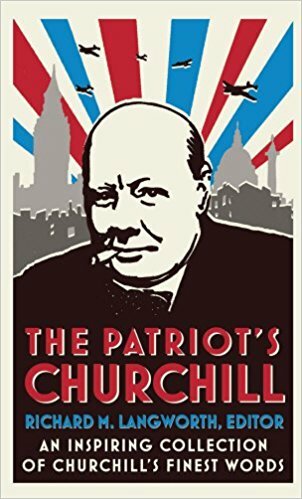 And Win­ston Churchill, as a mat­ter of fact, in a book in the ’50s also made a com­par­i­son, like Ori­ana Fal­laci in Italy but also Win­ston Churchill, the com­par­i­son between Mein Kampf and the Koran. 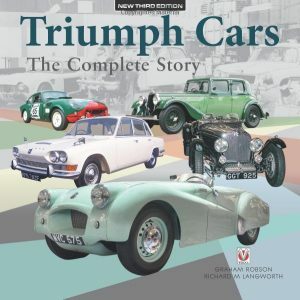 One of the rea­sons that I’m being pros­e­cut­ed, I don’t remem­ber Win­ston Churchill who got a Nobel Prize for this book and real­ly would have been pros­e­cut­ed. Beck was accu­rate in his Churchill quo­ta­tion (“The fact that in Mohammedan law…”). This is from Churchill’s The Riv­er War (Lon­don: Long­mans Green, 2 vols., 1899), II: 248-50, which was delet­ed from the abridged edi­tion pub­lished in 1901 and in print ever since. All was there—the pro­gramme of Ger­man res­ur­rec­tion, the tech­nique of par­ty pro­pa­gan­da; the plan for com­bat­ing Marx­ism; the con­cept of a Nation­al-Social­ist State; the right­ful posi­tion of Ger­many at the sum­mit ofthe world. Here was the new Koran of faith and war: turgid, ver­bose, shape­less, but preg­nant with its mes­sage. 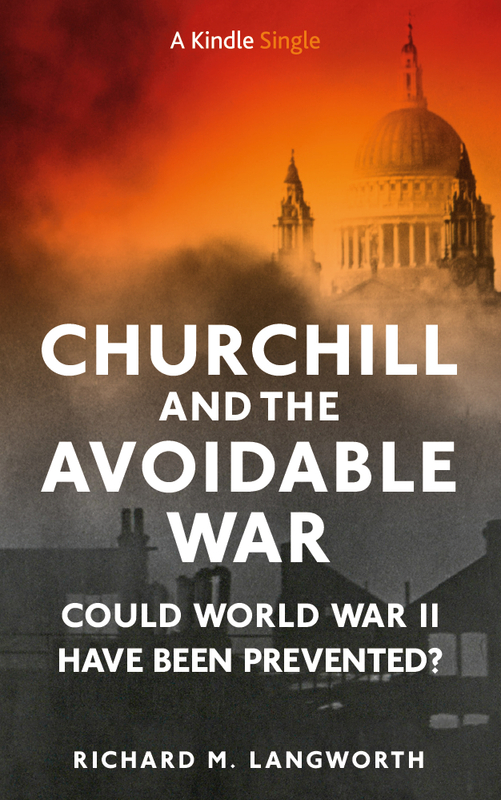 –Win­ston S. Churchill, The Sec­ond World War, vol. 1, The Gath­er­ing Storm (Lon­don: Cas­sell, 1948), 43. Wilders had the date wrong (it was 1948, not the 50s), and of course the quote takes on added sig­nif­i­cance in the light of 9/11. How­ev­er, it is impor­tant to dis­tin­guish the con­text: Churchill was refer­ring to Mein Kampf as an arti­cle of faith, like the Koran, but he could as eas­i­ly have said the Bible. He was not say­ing the Koran is an ear­li­er ver­sion of Mein Kampf. 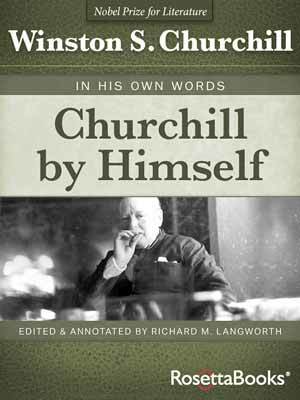 One oth­er point: Churchill received the Nobel Prize for Lit­er­a­ture in 1953 for the total­i­ty of his his­tor­i­cal and bio­graph­i­cal writ­ings, and not for The Sec­ond World War, which was not com­plete­ly pub­lished at the time. I had not thought to point that out. Thanks. In reply to first reader’s com­ment, 19 Jan­u­ary 2011, “your women” implies own­er­ship and adding “com­mit­ted helpers” implies sub­mis­sive servi­tude. So, the writer’s own “defense of Islam” shows that Islam encour­ages own­er­ship of women, slav­ery and sub­mis­sion. Speak­ing of obfus­ca­tion, it’s not clear what your point is. Per­haps you should re-read what I wrote. Geert Wilders was using Churchill to equate the Koran with Mein Kampf. Whether Wilders was right is irrel­e­vant. Churchill nev­er said that. He did not equate Mus­lims with Nazis. He said M.K. was a book of faith. The Koran, Bible and Torah are all books of faith. And by the way, it’s LAng­worth. But Churchill did not say Bible or Torah and he DID say the Koran. Per­haps he meant to be a lit­tle bit “polit­i­cal­ly cor­rect”, less direct. 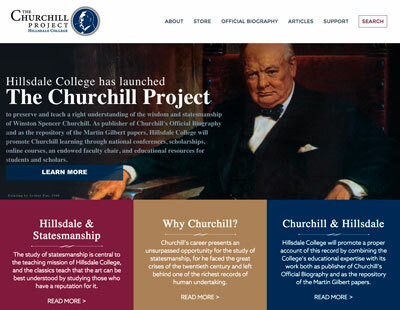 Churchill was a jour­nal­ist and a mas­ter com­mu­ni­ca­tor. He knew exact­ly what he was say­ing. The ques­tion is: Why are you, Mr. Long­worth, try­ing to obfus­cate? Are you per­haps a bit uncom­fort­able with the truth? “Arti­cles of faith” have been used to sup­port vio­lence since there were Arti­cles. Vio­lence in the name of Chris­tian­i­ty peaked 1300-1400 years after the found­ing of the reli­gion, iron­i­cal­ly the same age as Islam is today. It’s not what is writ­ten, it’s the use peo­ple make of it. 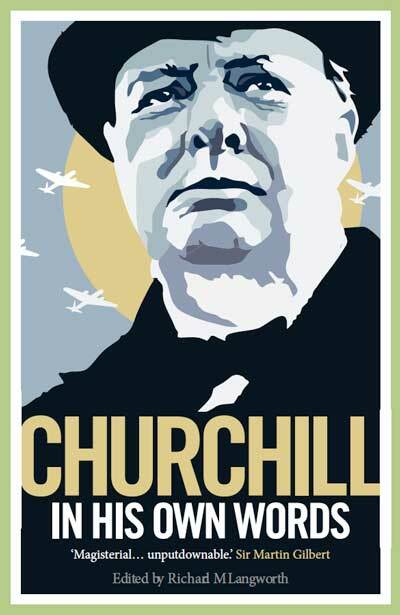 In this respect Churchill’s com­par­i­son was apt. Mein Kampf pas­sages sup­port world con­quest through vio­lence — the Nazi mas­ter race will con­trol all, one way or anoth­er. Koran pas­sages sup­port world con­quest through vio­lence. Bible pas­sages do not sup­port world con­quest through vio­lence. The ancient Jew­ish nation had a nation­al bor­der and lived with­in it — no one was forced to live there. So-called Chris­tians in the past have used vio­lence, but they could not find Bible pas­sages that would sup­port that vio­lence. Hold on there. The pur­pose of my post is to cor­rect var­i­ous mis­state­ments made about Churchill by Glenn Beck and Geert Wilders, not to state my opin­ion. (It was Wilders who mis­rep­re­sent­ed Churchill’s com­par­i­son with Mein Kampf.) But if you’re ask­ing my opin­ion, it is that by “Mohammedan law” Churchill was refer­ring to what he saw among Mohammedans where he was at the time, and remem­ber, he was writ­ing in 1898. How­ev­er, I also have eyes to observe, for exam­ple, how woman are treat­ed in cer­tain places in 2011. And I beg to reg­is­ter my dis­ap­proval. Hel­lo. First of all, there is noth­ing like “Mohammedan Law” in the uni­verse. The laws that are giv­en in Koran are the laws of the cre­ator, Allah. 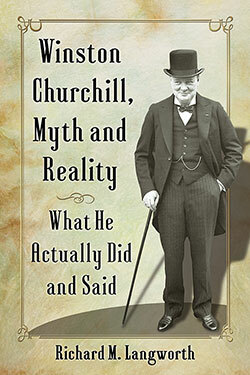 Sec­ond­ly, Win­ston Churchill’s say­ing is absolute­ly wrong. There is noth­ing like “every woman must belong to some man as his absolute prop­er­ty either as a child, a wife, or con­cu­bine” in the Koran. The truth is Islam has always encour­aged the extinc­tion of slav­ery and pro­tect­ed to laws of women. Let me give you an exam­ple. Please do more research on Islam if you want to learn its immense vision of life.